Ensemble for the Romantic Century presents Beethoven Love Elegies, a fully staged theatrical concert with an innovative fusion of drama and music about Beethoven’s search for the perfect wife, featuring some of his greatest and most intimate masterpieces. In 1792, a brash, confident, and energetic Beethoven arrived in Vienna, and within a few years he had been embraced by the aristocracy as a rising star. Amid this glittering society, Beethoven often fell in love with women above his social class. He had a boisterous sense of humor and an eye for women, and spent many afternoons at his favorite Viennese coffeehouses, eating, drinking, and chatting with acquaintances. Proud and touchy from the start, he grew increasingly prickly as deafness forced him into internal exile. The story of his young years and his attempts at finding love are depicted in a tragicomic script based on Beethoven’s letters and contemporaries’ recollections of the composer interwoven with Beethoven’s music. A fully staged theatrical concert interweaving music and drama about one of the most famous trials of the 19th century. “The love that dare not speak its name” roared vociferously to bring down Oscar Wilde, destroying the life of one of England’s most beloved writers. Under the glare of public scrutiny, Oscar Wilde was shackled, tried, and imprisoned for his homosexuality. 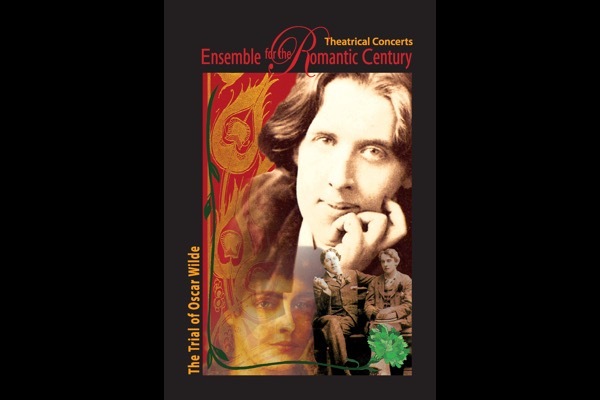 Wilde’s brilliant wit, biting humor, and tragic story are set amid dramatic works of chamber music, including Chausson’s Concerto for violin, piano and string quartet, works by Satie, Elgar, Fauré and Franck as well as a romping barbershop quartet. Experience music and history in a new and captivating way. The passionate music. The double life. His own words. An exquisite blend of music, theater, and dance. In a strange relationship that lasted fourteen years and that was conducted exclusively through letters, Tchaikovsky and his patroness Nadezhda von Meck were united through the invincible power of a disembodied love in which they both found refuge. Plagued with doubts about the greatness of his music, tormented by the fear of discovery of his homosexuality, and trapped in a marriage to a woman who was eventually committed to an insane asylum, Tchaikovsky found in von Meck an “invisible angel”. ERC honors their unique relationship in a theatrical concert featuring Tchaikovsky’s Piano Trio in A minor and some of his most moving songs.